The Okinawa i-Praise will come with a detachable litihium-ion battery that promises a charging time of 2-3 hours and a range of 160-180 km. Electric two-wheeler maker Okinawa Scooters has announced the pre-bookings for its upcoming i-Praise e-scooter. 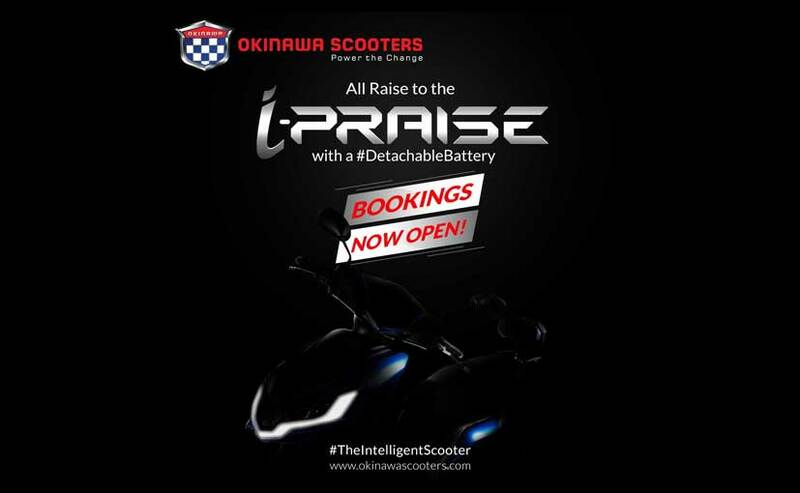 The new Okinawa i-Praise can be booked at a token amount of ₹ 5000 at any of the company's 200-odd dealerships starting on December 14, 2018. The i-Praise is the manufacturer's new version based on the Okinawa Praise scooter and now comes with a detachable lithium-ion battery. Okinawa says the new battery system brings more convenience for users who can now detach and charge the battery at their homes, with the charging time reduced to 2-3 hours. Okinawa Scooters - Founder and Managing Director, Jeetender Sharma said, "It gives us immense pleasure to announce the pre-booking of i-Praise -The Intelligent Scooter. We have channelised our engineering and manufacturing prowess to provide our users with a futuristic e-scooter that solves all their commuting woes. With the pre-bookings commencing from Dec 14 and only going on till the first 500 orders, we are looking forward to an affirmative response." Okinawa says the lithium-ion battery has helped reduce the overall weight by up to 40 per cent on the i-Praise, as compared to the lead acid battery version. With the new battery, the e-scooter is capable of a range of 160 to 180 km on a single charge. Okinawa says that the first batch of pre-bookings will be restricted to 500 units, while deliveries for the same will be available post the official launch in January 2019. In terms of performance, the Okinawa i-Praise will continue with the same mechanical setup drawing power from the 1000 Watt, BLDC electric motor that hit a claimed top speed of 75 kmph. 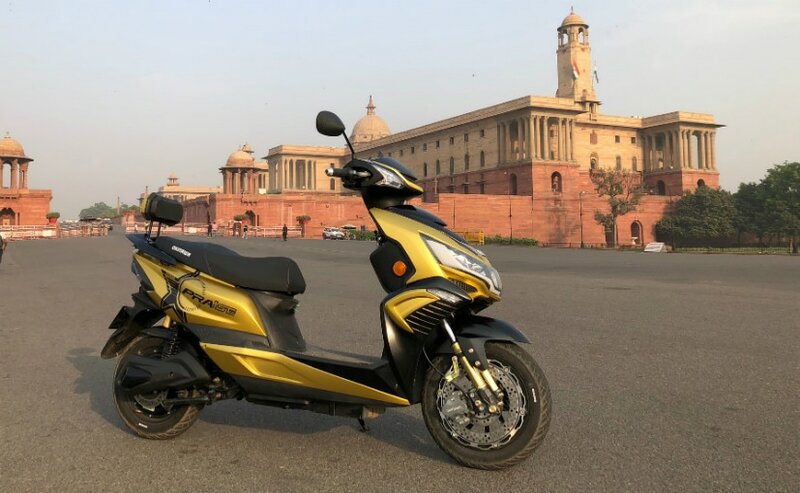 The scooter comes with LED DRLs, E-ABS, mobile charging USB port, anti-theft alarm and more. The standard Okinawa Praise is priced from ₹ 69,789 (ex-showroom), while the i-Praise is expected to be priced at a slight premium.